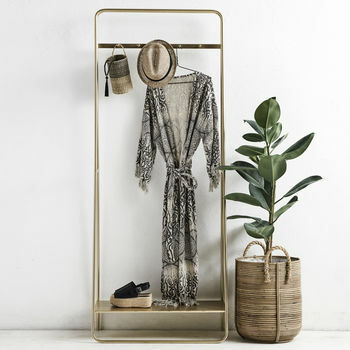 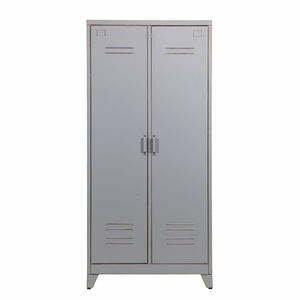 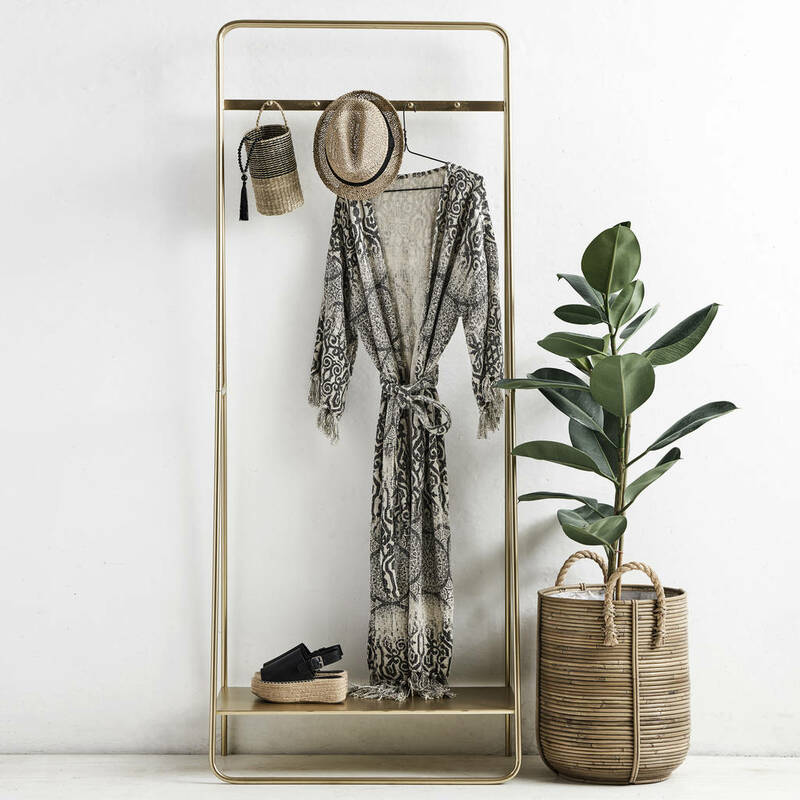 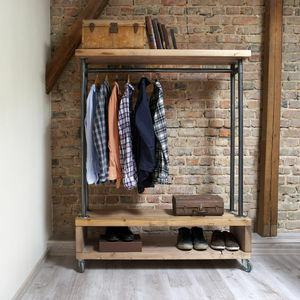 Stylish and functional, this clothes rail takes vintage inspiration and translates perfectly into contemporary spaces. 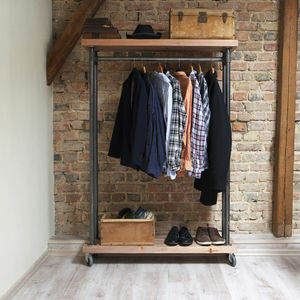 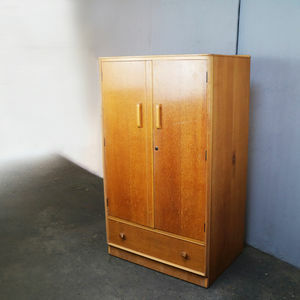 It makes a perfect coat and hat rack in a hallway, a clothes rail in a bedroom or a handy stand in a bathroom to hang towels and robes. 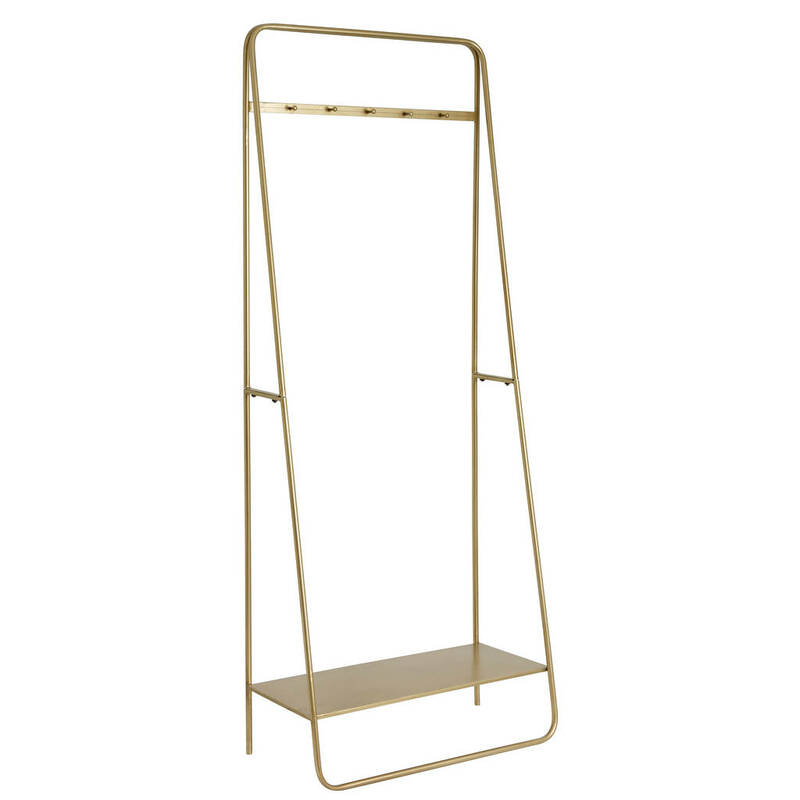 Made from brass/gold coloured metal featuring five hooks and a low shelf that is perfect for storing shoes or bags.